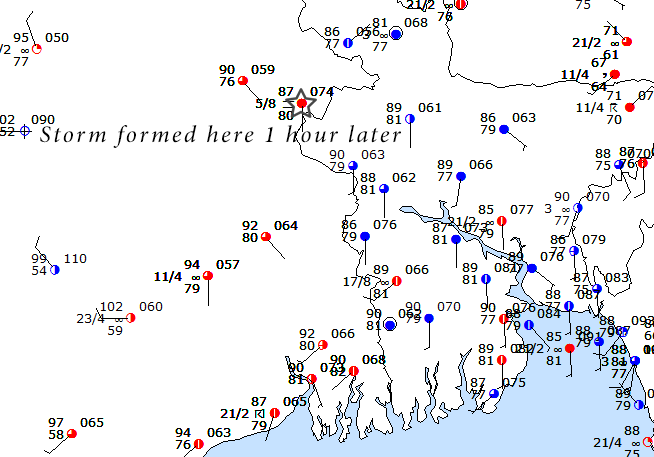 We are currently investigating a supercell that formed at 7z just over the border into India and by 12z impacted Jessore and about an hour later Khulna. Damage was reported in both towns including several fatalities. Early on the storm appeared to have a hook echo and had an impressive reflectivity core per Kolkata radar. 6z surface analysis shows impressive 87/80 south wind. 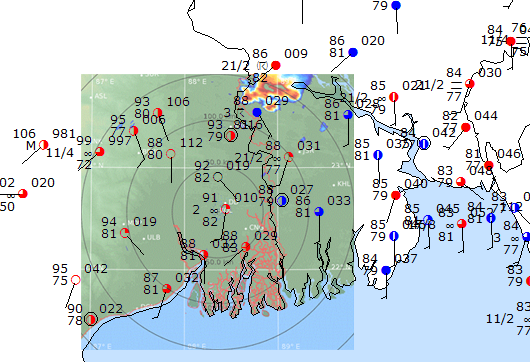 Storm now near Jessore, nearby obs is backing at 88/81. 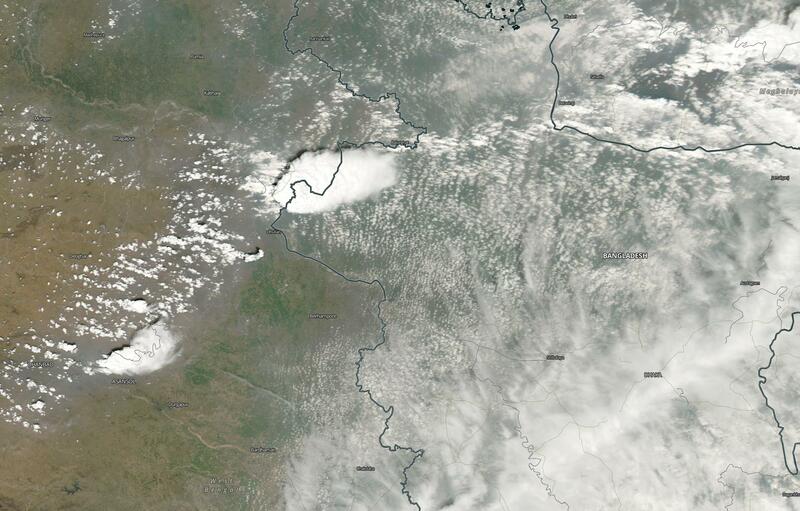 This sat pass shows the storm right as it started going, the dryline shows pretty substantial cumulus development. A woman was killed, 10 others were injured and over 10,000 houses damaged as nor’westers lashed Chuadanga, Bagerhat and Jhenidah districts on Tuesday. An elderly woman was killed as a nor’wester hit several upazilas of Chuadanga in the evening, reports UNB. Witnesses said Sabina, a resident of Majdah village in Alamdanga upazila, died on the spot as a wall of her house fell on her after being hit by the storm around 6:30pm. Besides, several hundred houses were damaged and thousands of trees uprooted during the storm in different areas of the district. Power supply to different areas got snapped as a number of electric poles were uprooted by the storm. Two women were killed as a tree collapsed on them during a storm that ravaged Abhaynagar upazila of Jessore district on Wednesday night. At the same time, roughly 5,000 birds of different species were killed as the nor’wester wreaked havoc at Tirerhat village in Jessore sadar upazila. Officer-in-charge of Abhaynagar police station Sheikh Nasiruddin said Laxmirani Mandol, 35, daughter of Bhushan Mandol, a resident of Dul village, and Sahida Begum,45, daughter of Sohrab Hossain Khan, a resident of Ektapur village, were killed as a tree collapsed on them during a storm in the upazila at about 7:30pm. Several hundred houses were also damaged by the storm. Meanwhile, locals said they found around 5,000 birds, including Doel, Shalik, Masranga, Bulbuli and Ghughu, lying dead at different places of Tirerhat village after the storm on Thursday morning.